CHRISTOPHER KNOWLES is an author and creator of comics. He is known for Halo: An Angel’s Story, a mini-series published by Sirius Entertainment. He was the editor of the Top Shelf Productions magazine "Comic Book Artist" from 2000-2004 and has written articles for publications like "The Jack Kirby Collector" and sites like Comic Book Resources. Knowles also wrote a highly acclaimed and award-winning book called Our Gods Wear Spandex: The Secret History of Comic Book Heroes and the critically-acclaimed Clash City Showdown: The Music, Meaning and Legacy of the Clash. He also co-authored a book about "The X-Files" TV series called The Complete X-Files: Behind the Series, the Myths, and the Movies, published by Insight Editions. He was an associate editor and columnist for the five-time Eisner Award-winning Comic Book Artist magazine, as well as a writer and reviewer for the UK magazine, Classic Rock. 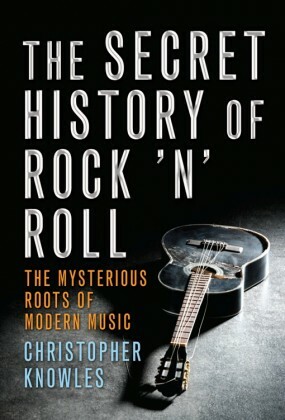 Knowles wrote the definitive history of the cult classic film Lucifer Rising for Classic Rock, which featured exclusive interviews with Led Zeppelin's Jimmy Page, director Kenneth Anger and Manson Family member Bobby Beausoleil. The Lucifer Rising cover story earned Classic Rock its bestselling issue to date. He keeps several blogs that discuss occult topics, including The Secret Sun, The Solar Satellite, and The Solar Seminar. He resides in Red Hook, New Jersey.